In the Sun 'n Fun exhibit area amidst aircraft fitted with dazzling arrays of high-end avionics, panels costing tens of thousands or more, sat a Zenith kitplane with glass panel displays that cost about $500 each, run by a microprocessor that cost $50 and software by Avilution. The moving map wasn’t quite ready, and there remained much to be done on some other core functions. It might take considerable time before Avilution’s big idea realizes its potential, but revolutions often start with small acts of rebelion, and a few inexpensive circuits and electronic components designed for industrial and other nonaviation applications might make experimental avionics so affordable it’s tempting to be incredulous. “This is really highly experimental,” said Jacek Duda, a pilot and software developer working with Avilution CEO Mark Spencer, to turn the traditional avionics business model, with its complex and proprietary boxes costing tens of thousands apiece, on its head. The Avilution team has created a programming language for avionics that is analogous to iOS or Windows in the consumer computer world, a digital language that allows microchips to receive data from—and return instructions to—aircraft sensors and systems. Dubbed XFS, this aircraft operating system can work with virtually any hardware, and can theoretically integrate with devices designed by virtually any manufacturer. “Pick whoever’s display you want,” Spencer said. The same is true for sensors, and even the central processor at the heart of the system. The Avilution prototype panel on display at the Zenith Aircraft Co. tent at the Sun 'n Fun International Fly-In and Expo was built (in a matter of weeks) using a $50 processor (with integrated input/output connections) by Raspberry Pi, though there are many options there, too. Spencer started Avilution in 2009 and previously developed aviation software designed for Android devices. The company’s main product to date is FlightPro. XFS is a different animal entirely, and the first software of its kind. Spencer, who is a pilot as well as a software developer, envisions avionics following the same path that computers have: In the beginning, the software and hardware were sold together and could not be mixed and matched. Today, a typical computer can run software from a range of developers. Spencer said avionics should follow a similar path. 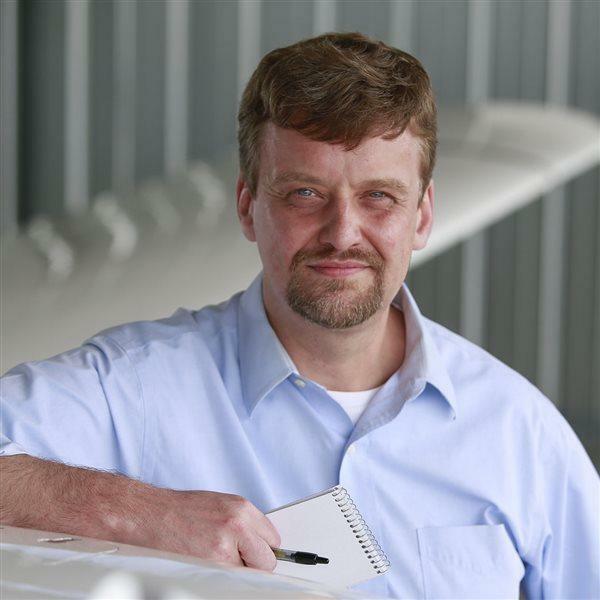 While currently an exclusively experimental product, Spencer hopes XFS will one day be available to owners of certified aircraft. The nature of the program allows individual functions or devices to be certified independently, which may make it easier for XFS to gain FAA approval. The software is designed with enhanced safety in mind: XFS functions in key respects the way a human pilot does when sensors or components fail. Instrument pilots are all drilled on partial-panel operations, learning to extrapolate information about position, velocity, and attitude by piecing together information from the remaining instruments. XFS can do exactly the same thing, only more quickly and accurately—determining airspeed based largely on angle of attack, for example. XFS is also being designed to handle the full range of routine functions. The Zenith CH 750 fitted with the first Avilution prototypes had a single lever to control the power, and XFS was programmed to work with the Rotax 912iS FADEC software and also control the MT Propeller constant-speed prop. Avilution plans to make its source code available to third-party developers and device makers, triggering (at least in the experimental aircraft realm) a potential wave of innovation. “We’re going to open it enough so anybody can buy a $50 (microprocessor) and have it fit seamlessly into (existing) avionics,” Duda said, highlighting another core design goal: ease of integration. While some builders might opt to construct an entire panel and the related control systems from scratch, others will be able to mix and match custom devices and features with more traditional avionics. Spencer said the CH 750 and its instrument panel came together in a matter of weeks. The flight to Lakeland Linder Regional Airport with Paul Coleman at the controls was the first time XFS had been tested in flight. Spencer said X Plane, the personal computer flight simulator, was used to develop and test XFS as the kitplane was being built. “Most of that has happened in the last eight weeks or so,” Spencer said. Spencer has been fielding a lot of questions at the show, and visitors to the Zenith booth often ask if XFS is a flight management system. There’s much more work to be done before its flown to EAA AirVenture in Oshkosh, Wisconsin. The moving map, for one thing. Round dials will present information in a more familiar fashion, easing the transition for pilots not accustomed to glass cockpits. Spencer invites homebuilders, software developers, and aviation manufacturers to develop products and applications for XFS, or simply participate in the online discussion.